Welcome to the HuskerBoard Announcements page. 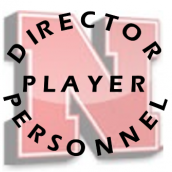 Here you can read the latest news about HuskerBoard. Huskerboard announcements regarding the board, server status, policy changes, and software updates. History and insight about all things Husker. Threads archiving links to photo resources and highlights from games over recent years.